This spacious two story home is move in ready and in immaculate condition! 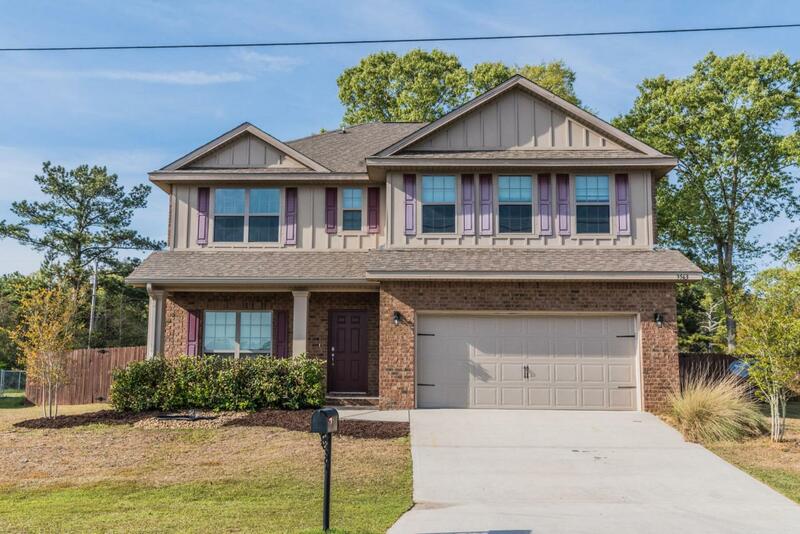 Located in Autumn Woods subdivision and just minutes from shopping and schools in North Crestview. Quiet neighborhood located minutes from the ball fields! 4 bedrooms, 3.5 baths and a large bonus room. Open kitchen with granite countertops and spacious master suite located downstairs. Large Guest Bedrooms upstairs with 2 full baths, 3 bedrooms and a large bonus room. Other features include: double vanity, ceiling fans, walk-in closet, upstairs laundry room, fenced back yard, 2 car garage. This home is a must see!